No matter your financial situation, you can always build credit from scratch or rebuild a score that dropped. 1. 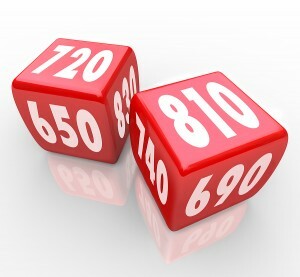 Cut your credit utilization ratio. A key factor that affects your credit is how much debt you owe on revolving accounts (such as credit cards and lines of credit) compared to your total available credit limits. This simple formula is the credit utilization ratio. The lower your credit utilization ratio the better. Why? A low ratio says that you’re using credit responsibly and not maxing out your accounts. A high ratio says you’re using too much credit and may even be in danger of missing a payment soon. A good rule of thumb to improve your credit score is to keep your credit utilization ratio below 20% to 25% for optimal credit. 2. Use multiple credit cards. There’s a common misconception that it’s okay to max out a credit card as long as you pay it off each month. While paying off your credit card in full by each statement due date is a smart way to avoid interest charges, it doesn’t guarantee a low utilization ratio. Notice that this is half the ratio of the previous example I gave for one card. The date your credit card account balance is reported to the nationwide credit agencies typically isn’t the same as your statement due date. If your outstanding balance happens to be high on the date it’s reported, you’ll have a high utilization ratio that will drag down your credit scores. 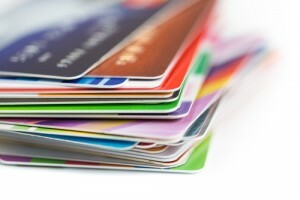 It’s always better for your credit to have low balances on multiple credit cards than one card you consistently max out. 3. Use a secured credit card. A secured credit card is a fantastic tool for anyone over the age of 18 to build credit. It offers many of the same benefits as a regular card, but you’re required to make a refundable, upfront deposit to open the account. You choose the deposit amount, which could range from $50 to $5,000, and it becomes your available credit limit. The best secured cards report payment information to the nationwide credit agencies, which is how they allow you to build credit and improve your credit score. As you make timely payments, you add positive history to your credit files each month.